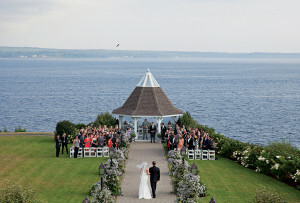 It’s always a nice day for a white wedding amid the rugged landscape of this all-season wonderland. By Andrea Timpano·	 6/21/2016, 3:23 a.m.
It’s nearly impossible not to take advantage of the majestic vistas at the new Bellevue Barn at Carlisle Place, in Jefferson. 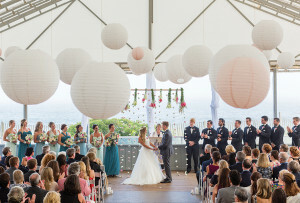 After swapping vows on the apple-tree-dotted grounds, entertain guests with cocktails and lawn games before retreating to a spacious Douglas fir barn for dinner and dancing. 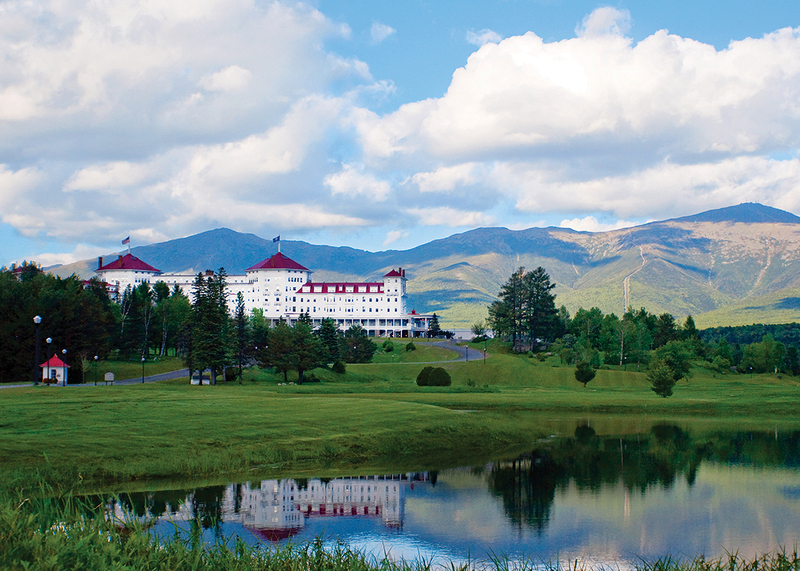 Spanish Renaissance architecture and Instagram-worthy scenery, meanwhile, are the backdrop at the Omni Mount Washington Resort, a historical Bretton Woods hotel situated in the shadow of the Presidential Range’s soaring peaks. Opened in 1902, the amenities-laden resort (hello, spa and golf course!) 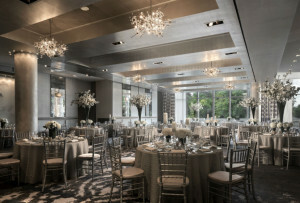 boasts nearly a dozen ceremony and reception sites, including the pillar-framed Grand Ballroom. Looking for something a bit more intimate? 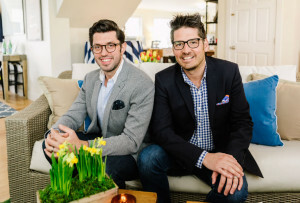 Head south to The Wentworth, in Jackson Village. 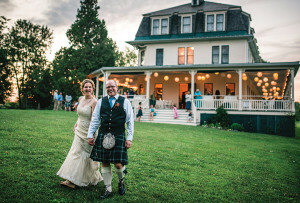 Warm and inviting, the 61-room inn—built as a wedding gift for the original owners in 1869—hosts elegant indoor fetes bolstered by French Provincial décor, as well as outdoor tented receptions infused with the tranquil sounds of nearby Jackson Falls. 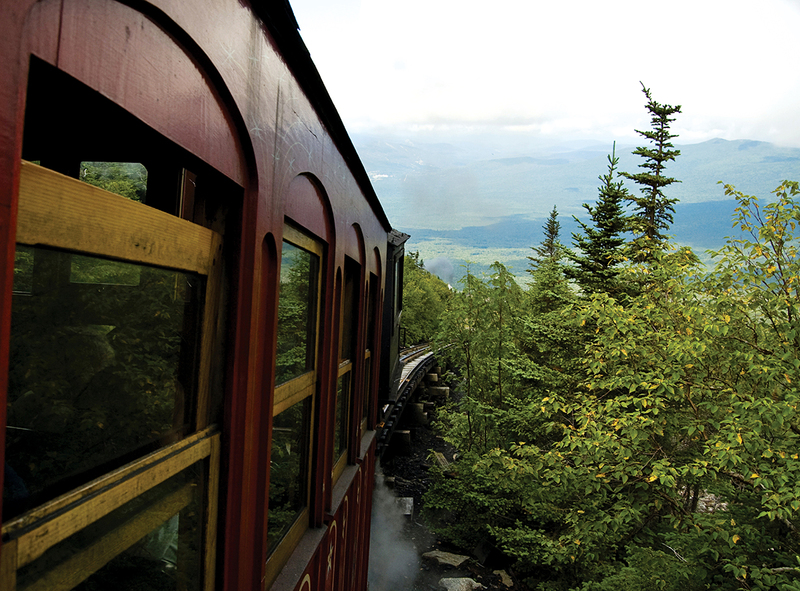 Treat your nearest and dearest to a history-packed adventure aboard the Mount Washington Cog Railway, originally launched in 1869. Powered by a steam locomotive, vintage coaches will usher you and your party to the 6,228-foot summit. Built in the 1860s as a private residence for the Crawford family, the region’s earliest settlers, the Notchland Inn offers panoramic views of the surrounding White Mountain National Forest—not to mention wood-burning fireplaces in each of its quaint rooms and suites. Family members traveling with Fido in tow will appreciate the property’s two pet-friendly cottages. Host a candlelit celebration in the Mountain View Grand Resort’s 19th-century wine cellar, where 6,000 bottles of aged vino set the stage for toasting your bridal party. Or go more casual with a buffet-style barbecue dinner in the hotel’s clubhouse followed by a s’mores roast under the stars. 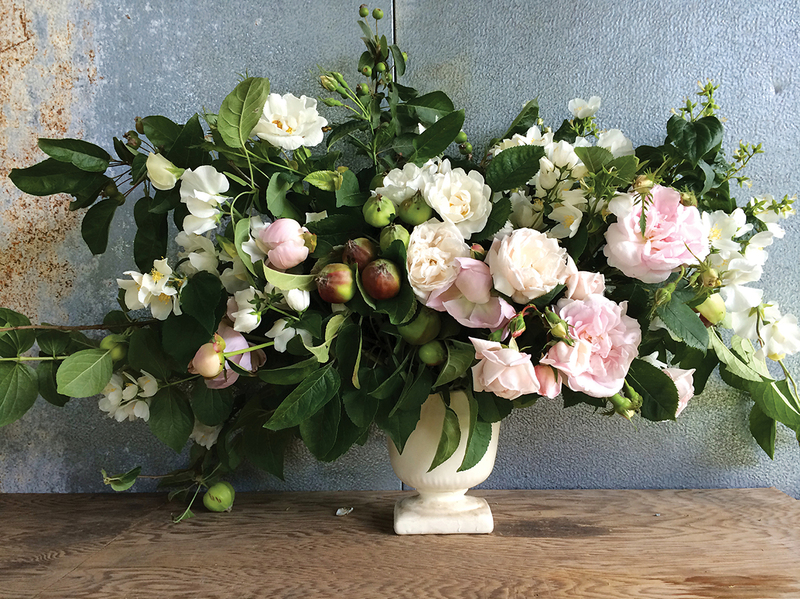 Based out of a 150-year-old barn in Sugar Hill, the father-daughter team behind Tarrnation Flower Farm creates custom bouquets and centerpieces from vibrant blooms grown right on the 6-acre property. Handcrafted in varieties such as lemongrass sage and lavender patchouli, the aromatic soaps from North Conway–based Fields of Ambrosia will pamper your guests long after the party is over. Is there any place more romantic than the Sugar Hill Inn? The 18th-century farmhouse turned mountainside hideaway is replete with honeymoon-appropriate amenities, from oversize soaking tubs to private porches for drinking in those breathtaking panoramas. 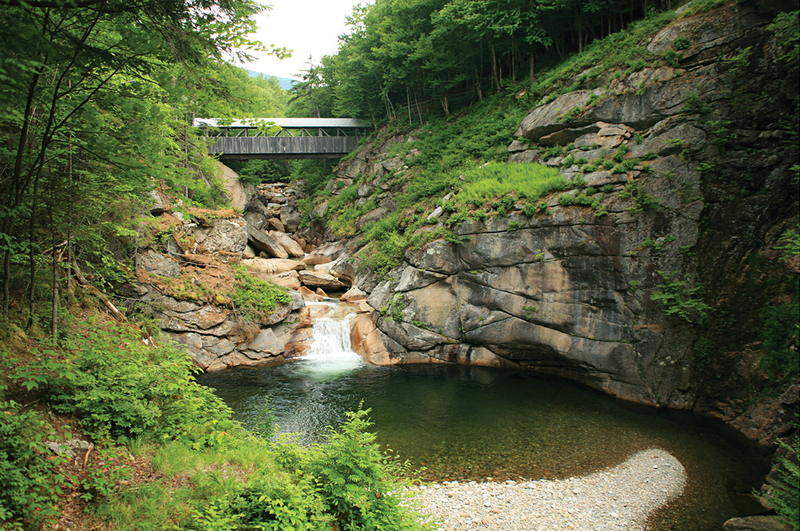 After a complimentary breakfast of fluffy blueberry pancakes, head to nearby Franconia Notch State Park (pictured) for an afternoon of bird-watching or hiking along the scenic Appalachian Trail. Come nightfall, climb aboard a restored dining car on the Café Lafayette Dinner Train for a two-hour ride featuring classic cocktails (brandy sidecar, anyone?) and a five-course meal from chef Doug Trulson.